1. Sherrell, Bill Rock On Baby Tyme (Ind.) TR-103X 1958/Aug. 2. Sherrell, Bill Rock And Roll Teenager Tyme (Ind.) TR-103X 1958/Aug. 3. Sherrell, Bill Teen Hop Rock Tyme (Ind.) TR-102 1958/Jan. 4. 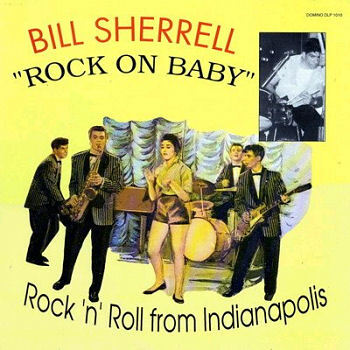 Sherrell, Bill Cadillac Baby Tyme (Ind.) TR-102 1958/Jan. 11. Sherrell, Bill You're The Beat Within My Heart Tyme (Ind.) TR101x45 1957/Oct. 12. Sherrell, Bill Don't You Rock Me Daddy-O Tyme (Ind.) TR101x45 1957/Oct.